Overview of the Compliance and Workflow tool— how to author, navigate, and review checklists. Mira's Compliance application enables your team to create, manage, and use checklists in augmented reality. It consists of three parts: the Compliance Management System, the Compliance Authoring Tool, and the Compliance Headset Application. The Management System allows you to browse and view all of the checklists your organization has created, and provides admins with access to a log of all your organization's completed checklist sessions. The Authoring Tool enables you to create your own custom checklists that are then piped into the smartglasses for use by your headset users. The Headset Application is where your headset users will access and use the checklists in augmented reality. 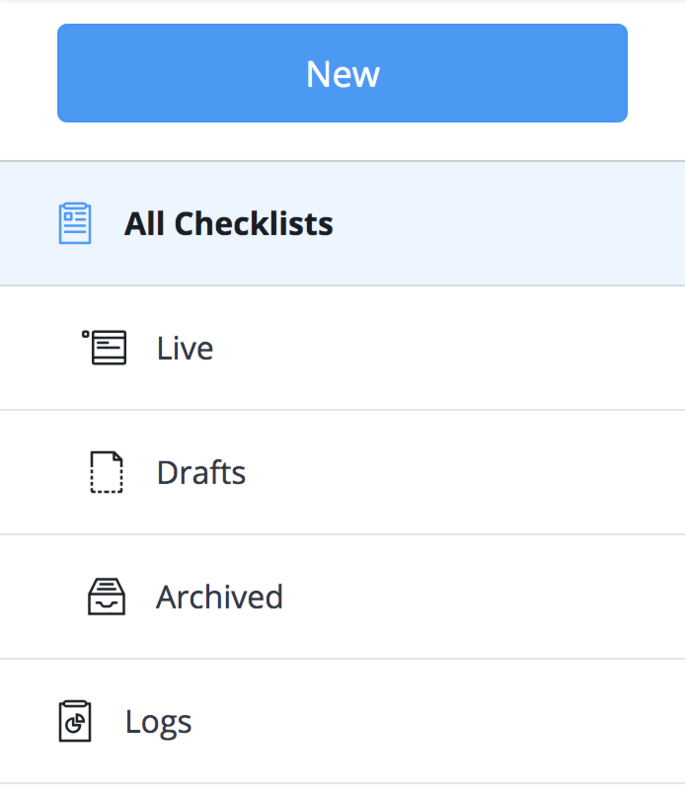 The Navigation panel on the left side of the checklist enables you to sort through checklists and workflows based on their status. The Logs button enables users (with admin permissions) to review checklist sessions. There they may view whether logs were marked compliant or non-compliant, in addition to metadata and captured information from the headset user's session. To open a checklist, select a checklist from the list and click Open in the right panel. To learn the basics of building a checklist, continue here.